Plan to fly into Shannon Airport at Limerick early in the morning, so there will be a full day available ahead. Early also means a better choice of the rental cars - even if supposedly reserved in advance. Bunratty is on the route north, just past the airport area. It is a perfect first stop, and a breather from driving on the left. 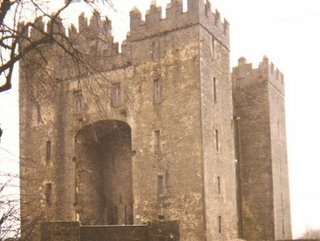 See http://shannonheritage.com/Bunratty_Day.htm/. There had been an older Viking site there. It is reconstructed and furnished, with guides and an outside village "folk park" area with the cottages and peat fires. 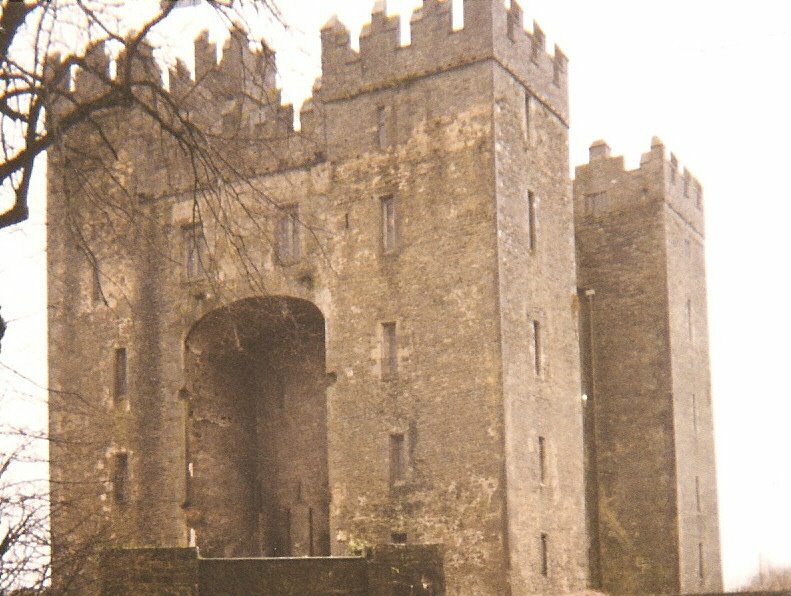 There are medieval banquets at Bunratty if you are there at the right time. You can see huge pieces of furniture salvaged from the wrecked Spanish armada, see http://bunrattycollection.com/search.php?r=7". There are elk horns as wide as a small room. 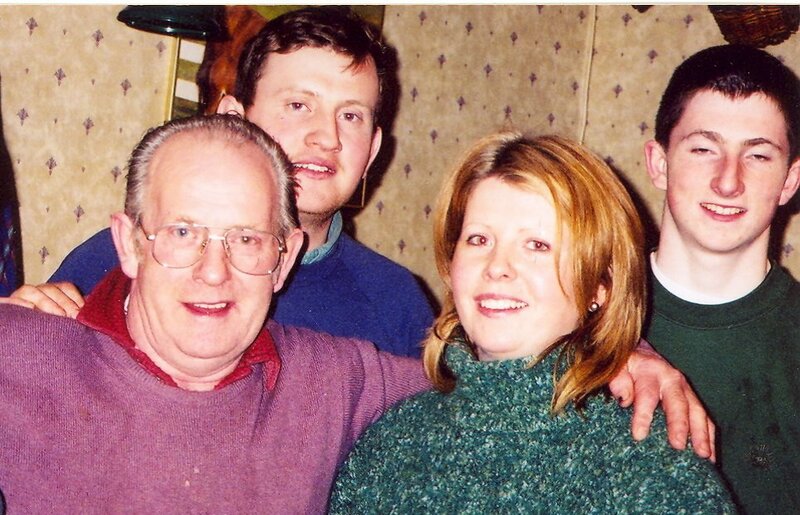 See them at http://tourismireland.igougo.com/photogallery/displayFeaturePhoto.asp?ID=200159. See shades of animals gone. We were there before it opened, and a guide took us through anyway. His comment: Fairst oop, baist draist, meaning, "First up, best dressed". That is an old cottage saying -- the one first up gets first choice of the closet. First up, best dressed. First come, first served. There are still thatched roofs, big houses, little houses, but we saw more and more regular tile used for roofing. Here is a large home, thatched roof, with the stone structure plastered and whitewashed. Thatch turned out to be good against weather, but bad against those seeking to evict the inhabitants of the house. Thatch could be used for concealing items of value, leading the overlords and others to set fire to the place. One reason for burning poor renters out of their houses during the clearances in Ireland and Scotland years ago, see http://rootsweb.com/%7Epictou/clearncs.htm, was to access any bits of gold or other valuables. Occasionally as well, perhaps the insects and rodents up there required a redo. Thatching is a live industry. Find thatching techniques and instruction at http://thatch.org/. Thatching is also available in US for new home construction. See http://thatching.com/faq.html for thatching in North America. It is more popular in the UK, see http://www.buildingconservation.com/articles/thatchrf/thatchrf.htm. 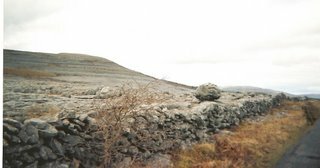 The Burren is a national park, the name deriving from "boireann" or rocky place, see http://www.burrennationalpark.ie/history.html. It is a conservation area, with a farming community, and covers some 200 sq mi (250 sq km). Have a full tank before starting out, and if you find a place to eat at a crossroads, enjoy a little meat pie. From Limerick, going north toward Galway, drive at random off through the Burren, this kind of barren moonscape - there is always a crossroads somewhere and a pub with good food and directions. The Burren is an unexpected rocky, fantastic in the sense of storied, place. See historical folklore and map at http://clarelibrary.ie/eolas/coclare/places/the_burren/the_burren.htm. This is a stop-often and walk-around place. There are tiny flowers in the limestone rock cracks, a rabbit or two. Stop at the town of Ballyvaughan for old-time views. 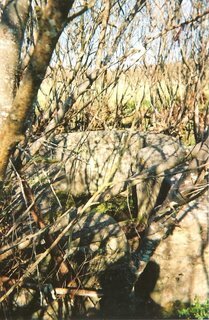 Find a Burren musical site at http://moytura.com/burren.htm. 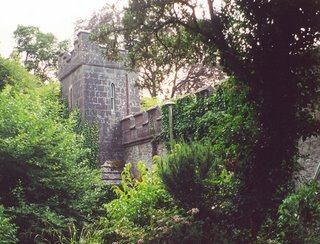 The Normans arrived in Ireland in 1169, and at first ensconced themselves in the "motte and bailey" fortification, a created hill, with a timber dwelling at top, to house folk while the lower stockade was built for defense. Soon this kind of structure was abandoned, in favor of the stone tower, the tower house. See http://www.ballybegvillage.com/tower_houses.html They are seen all over Ireland, many, like this, still in use or museums. There are several kinds of basic floor plans; and with the lack of a centralized government for so long, these were good defense against both Irish and English -- the Normans frequently slid to the Irish-sympathizer side, becoming the Anglo-Normans "Irish-ified." Yeats lived with his wife and family in this Norman Tower at Gort, between Limerick and Galway. 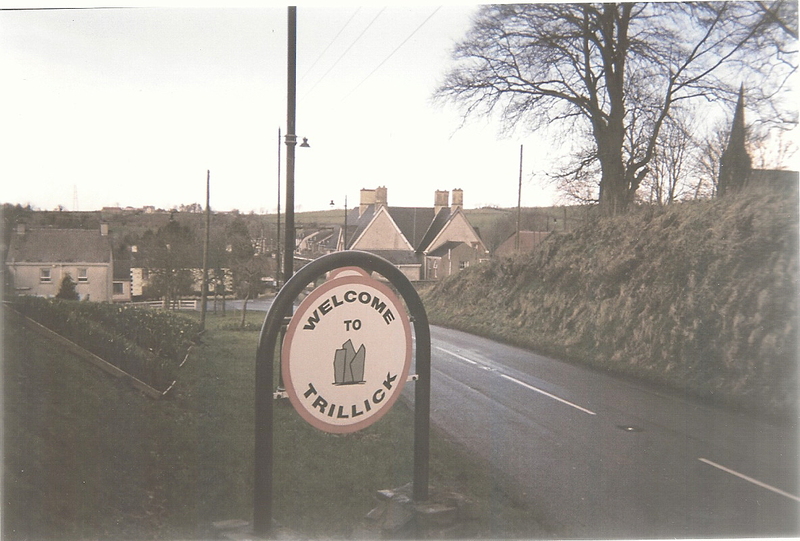 Its formal name is Thoor Ballylee. There is a little sign on the road. It is furnished and a fine display. One room per floor, up and up. Is the side area part of an original L-shaped plan, or added? Usually there was a celler, a main floor, and two floors of living areas above. In the 12-14th centuries, the scale became larger, not smaller with a reduced risk of attack, and for status reasons. Then, in the 15th and 16th centuries, the stress again was put on defense. See the Detail Tower House site. 1. The Aran Islands were formed some 350 million years ago, of a kind of limestone that erodes in patterns, producing a terracing. Once there were forests, and the erosions accelerated as the root systems died. 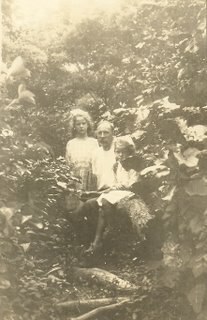 See http://www.historyofcuba.com/history/chebio.htm. The islands have long been a center for fishing cultures; and agriculture in carefully tended stone-walled areas. Take a ferry to get there. 2. For a sense of the culture that developed here, read The Aran Islands, by John M. Synge, book first published in 1907. Synge lived with cottagers on the different islands, a project encouraged by William Butler Yeats who had also visited there. It is a Project Gutenberg book at http://www.gutenberg.org/ebooks/4381. Synge had a brief but brilliant literary career, including major works as a playwright, and he died in 1909. See http://www.theatrehistory.com/irish/synge001.html. Film: See the 1934 film, "Man of Aran," from your library or video store for the best traditional overview. See http://www.iol.ie/%7Egalfilm/filmwest/19aran.htm; or http://www.imdb.com/title/tt0025456/; or http://www.irishfilm.net/blurbs/MOA.html. Some literature shows a darker side to this west coast, rugged area. "A Skull in Connemara." Compare the amorality and anarchy, miscreants and misfits (terms used in the review) to earlier - and now. Any difference in people anywhere? "The Lieutenant of Inishmore" and its premiere at the Atlantic Theater Company, New Yorker 3/13/2006 at page 92ff. Connemara - when you return, see tourist sides at http://www.connemara.net; and at http://www.moytura.com/connemara.htm"&gt; Connemara photos, history. Of particular interest is the number of stories, ballads, poems, ditties, how the threshing and other survival tasks were done, customs, written down as recalled, the references to the Black Irish (Spanish, even Middle Eastern heritage, an emigration long ago?) and a local of that heritage; the costume of the women, bright red full skirts with petticoats so that the skirt could be pulled over the head for shelter in bad weather. 3. There is reliance on the steamers from the mainland weekly, managing the curaghs (local fishing craft), see one at http://www.artsheaven.com/frank-mckelvey-a-large-curragh-of-the-aran-island-type.html; and references to Spanish or other southern cultures in some architectural elements. We know that off-island mariners came, settled, or were wrecked or were washed up on Western Ireland through the centuries. Now, there are also planes. 4. Practicalities. Where to get soil when the topography is limestone? By hand. Mix sand, seaweed, manure and fish meal. Presto. Soil. Build walls - a natural with all the stone - to mark boundaries and also baffle the wind. The Irish Aran Islands, off Galway, are different from the large Isle of Arran off Scotland, at the Firth of Clyde. Find Arran Island at http://www.visitarran.net/ Read The Book of Arran, an extensive history and recording of folklore of Arran Island by W. M. MacKenzie from 1914. Find it online, second volume at http://www.archive.org/stream/cu31924091786255/cu31924091786255_djvu.txt/. The Norse ruled here, on Arran, for centuries, until the 1300's when Scotland ascended. 5. Migrations, visitors. Remnants of other visitors: perhaps Norse, although that tradition is stronger on the mainland or islands between Ireland and Scotland, toward Norway. Skarfaklettar = cormorant cliffs (skarfr, pi. skarfar, gen. pi. skarfa = cormorant. Klettar = cliffs). That name appears on Arran, but perhaps not on Aran. Cormorant: nests on shaley cliffs. .Vikings indeed were here on Aran: they raided St. Cierans Monastery in the 9th Century (was the sudden Viking violence in response to Charlemagne's forced conversions and slaughter of Saxons in 782? See http://germanyroadways.blogspot.com/2011/02/sachsenhain-saxons-grove-charlemagnes.html. 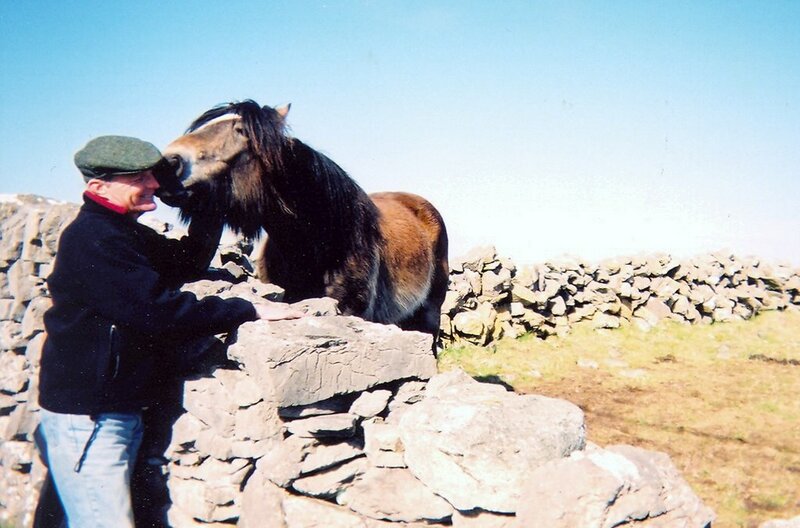 For the bus offerings inland on Aran, see http://www.dunaonghastours.com/aran_islands_bus_tour/aran_islands_tour.html. See the ruins. 6. Language. Linguistically, Gaelic has borrowed both words from the Norsemen. Scarf is used for cormorant in Orkney and Shetland also. But Gaelic is more spoken here than on the mainland, or used to be before the tourism. "Irish (Gaelic) and English are the two official languages of Ireland. Irish is a Celtic (Indo-European) language, part of the Goidelic branch of insular Celtic (as are Scottish Gaelic and Manx). Irish evolved from the language brought to the island in the Celtic migrations between the sixth and the second century B.C.E.Despite hundreds of years of Norse and Anglo-Norman migration, by the sixteenth century Irish was the vernacular for almost all of the population of Ireland. The subsequent Tudor and Stuart conquests and plantations (1534–1610), the Cromwellian settlement (1654), the Williamite war (1689–1691), and the enactment of the Penal Laws (1695) began the long process of the subversion of the language." 7. Sense of the remote. Arrive by ferry, and leave the car behind. See http://www.visitaranislands.com/acc.html for directions, schedules. 8. Commerce. Aran sweaters: The people there are famous for their patterned sweaters, but whether or not those identified drowned bodies washing ashore is unclear. See http://www.irishcultureandcustoms.com/AEmblem/Sweaters.html, now much copied. Find sample patterns at http://melbel.hubpages.com/hub/Aran-Sweaters. Best purchase: Connemara socks. Wool. All sorts and mixes and colors. All over and at the airports. 9. Vicissitudes. Our walking was limited by the mad-cow scare (we had to stay on the paths, and could not even go inland) but that left plenty to do on the roads. See http://bamjam.net/Ireland/Aran.html. The far west of Ireland is away from the fancies of Dublin, across moonlike rock scapes. Mayo is a county with vestiges of Mesolithic prehistory (people arrived in Ireland about 7000 BCE). Hunters. 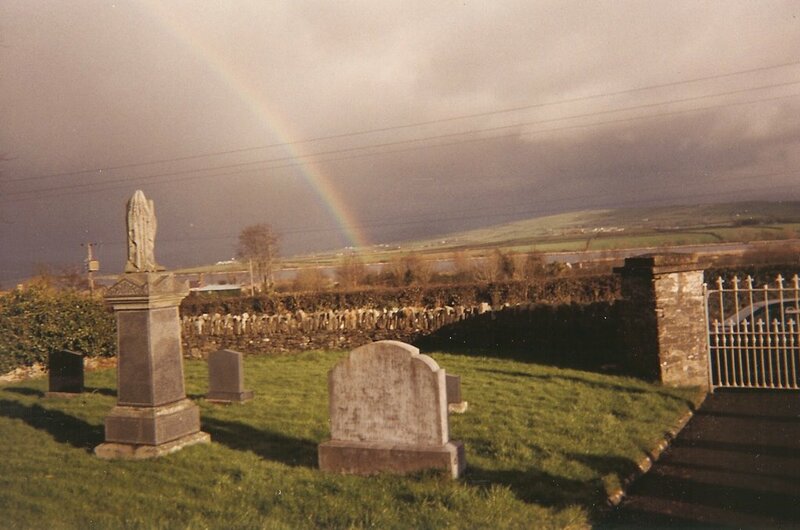 See archeological sites, and an overview at http://www.mayo-ireland.ie/Mayo/History/FullHist.htm/. Fast forward to 4000 BCE, the Neolithic. A mere 3000 years. An agricultural people. Potters. Weavers. Burying their dead in large tombs. Then the Bronze Age, 200-400 BCE. It still is there. 2. Common sight. Celtic cross on the graves. Those forms eventually, as religions evolved and cultures melded, into a Celtic Cross. A look at the mapping and outlines shows the elements. "In the literature on archaeology, Irish megalithic tombs are divided in four classes: court-tombs, portal tombs, passage-tomb and wedge-tombs, each style named after its chief diagnostic feature. Each class of tomb probably represents a new major colonisation of the country by different groups of tomb-builders. 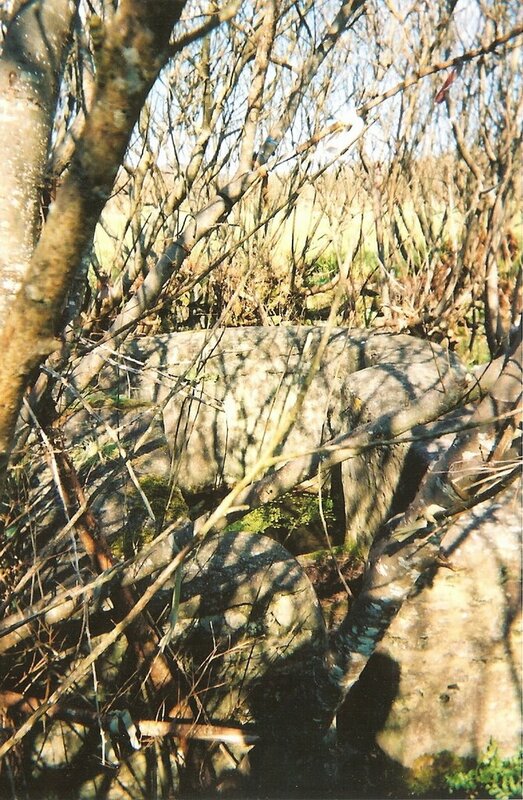 The remains of some megalithic tombs are so badly damaged that they can not be accurately identified by type and are consequently recorded as unclassified megalithic tombs. Examples of all types decorate the Mayo landscape." 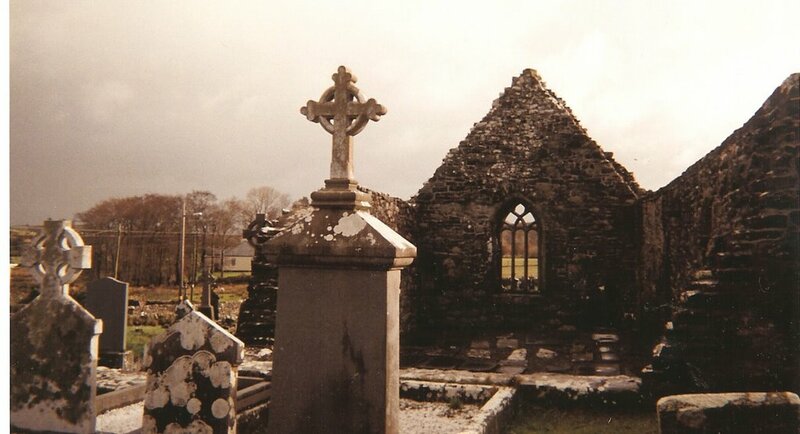 On the back roads are many ruins of old churches with Celtic crosses, and rooms, and even artifacts. Celtic design is still used, see http://www.celtarts.com/symbolism.htm. The earliest Irish Christian Church was independent until the emerging Roman branch asserted supremacy in 664 at the Council of Whitby (the dispute was the "correct" date of Easter, a kind of artificial precision the early Irish Christians could have cared less about). The real incursion of the Roman branch came much later, in the 1100's after the Roman Christian church had split with the Eastern Orthodox in 1054, see http://www.newworldencyclopedia.org/entry/Great_Schism. This newly on-its-own institution had to firm up its identity, get converts, establish power, get money, etc. It aimed at Ireland after substantial success on the Continent with papal armies, Charlemagne, and starting the motivational crusades. Saint Patrick's cult blooms, 680 or so. See timelines at http://goireland.about.com/od/historyculture/qt/Irish-History-The-Middle-Ages-From-The-Synod-Of-Whitby-To-Dermot-Mcmurrough.htm. With Charlemagne's slaughter of the Saxons at Sachsenhain in about 782, and forced conversions with papal armies in tow, the Norse began attacking Christian institutions, monasteries. 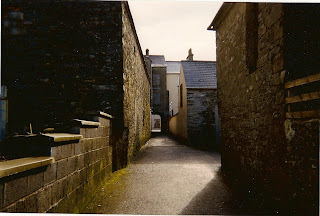 See timelines for a vast range of history at http://goireland.about.com/od/historyculture/qt/Irish-History-A-Short-Timeline.htm. So the causes of specific ruins being ruined is not clear. Vikings, other religious unrest, Cromwell, disinterest, famine years, the uprooting of the peasants, the clearances. Many possibilities. As you wander through, take care. There are no barriers to just going in. And no protections once there. Watch your step, no railings, see your own crumbles before you step. 4. The area thrives on St. Patrick. See the life of this patron saint, and acknowledgement of cultural exaggerations, at http://www.history.com/topics/who-was-saint-patrick. See more on St. Patrick at http://irish.spike-jamie.com/stpatricksday.html. This site also has music. Explaining the inexplicable. The human endeavor. Magic, and sacred, areas remain from old traditions. There are places where later religions, like the early Irish Christians, or the later Roman Christians taking over the earlier religious places, some being Celtic. Although the new put the imprimatur of a new faith and name on an old sacred place, or new miracles or healings were said to occur there, the old remains are there. See Celtic Mysteries, The Ancient Religion, by John Sharkey 1975 (US). Find there traces of even older spiritual and cultural sources, India for example, linked linquistically and in some religious ways with old Celts, p. 6. Water as a first principle. The triple goddess reappearing as a trinity, blue as a favored color of the earth mother, adopted by the Marianists, fear of the devouring mother, p. 8 -- does that underlie the prohibition against female priests in a major western religion? 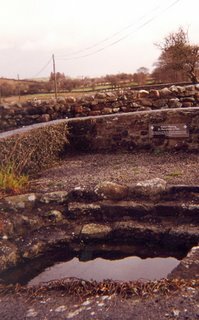 Look closely at these sacred wells, from Ireland. One, the pool with the descending steps, has a sign nearby that indicates it had been an ancient healing well, that later Christians incorporated into their church beliefs. It is near Westport. And; and the other, a "rag-tree." A place for hanging "clooties", Sharkey at 83. Sacred well. Rag tree at healing well, County Mayo, Ireland. We came across several, on back roads, little springs and wells in the middle of other ruins, or on their own with small pieces of cloth fluttering on the branches around. Those represent, we were told, the prayers, pleas of the people. A prayer tree, a vestige of the old, the old living, but not to the later gods that took over. Look closely for the bits of cloth, the clooties. The twiggy one we found was also on a back road. It looked like a hawthorne, but we were there in March, too early for spring, before buds were out. Hard to see here, but look closely. 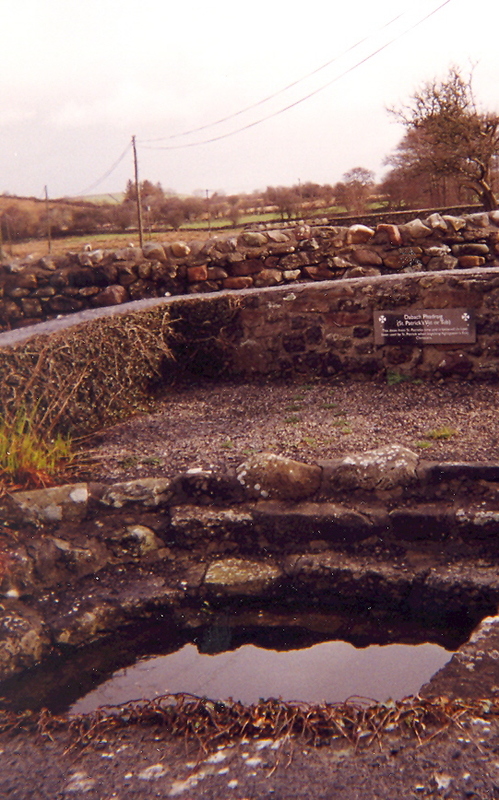 See Ireland's sacred wells at llewellynjournal.com/article/713. About midway down the site, read about leaving little votive offerings, a bit of cloth perhaps. Invoke whatever spirit or healing is needed, tie the bit on, say your words and tiptoe away. Does the disease sigh away with the faded cloth? 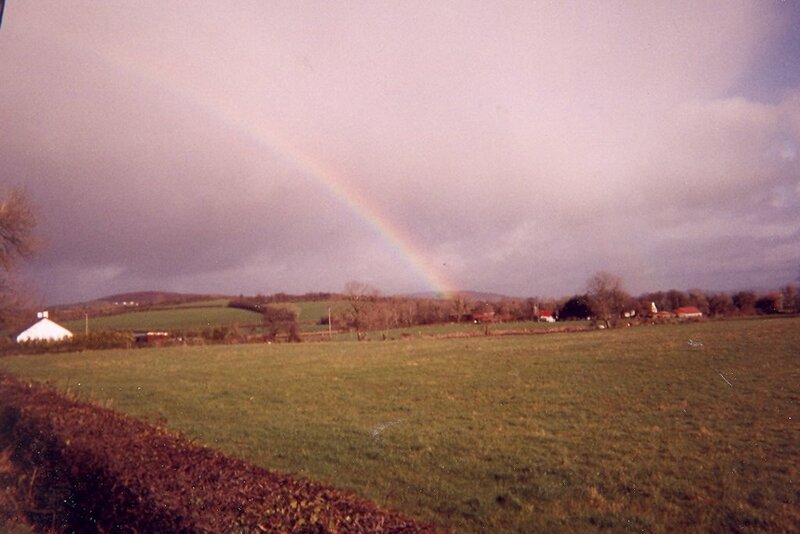 See the place of wells in the Celtic world at http://geocities.com/Athens/Troy/7080/wellstext.html. Celtic Ireland has much to say for it. Saint Brigid - who invented whistling and keening, says http://realmagick.com/articles/07/1807.html; and whose fires were kept burning until the institutional church extinguished them, with so much else, in the 13th century. 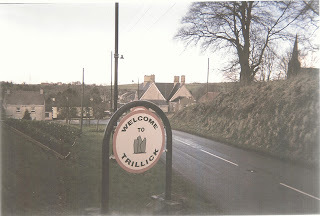 This topic of healing wells is the linchpin of the 2006 novel by author Maeve Binchy, "Whitethorn Woods," see http://www.fantasticfiction.co.uk/b/maeve-binchy/whitethorn-woods.htm. Is the bush here a whitethorn? Acacia albida. Hawthorns are said to have healing qualities. http://en.wikipedia.org/wiki/Common_hawthorn. Save the trees. Hawthorne: See Ancient Celtic Tree-Wisdom at http://divine-ogham.com/pages/readings/trees Fairies live under them. 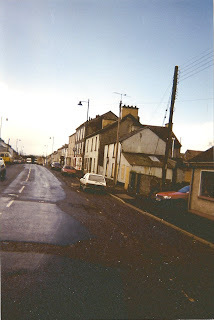 See http://doon.mayo-ireland.ie/hawthorn.html. Believe and it will be so. Yeats, 1865-1939, poet, playwright. teller of tales, philosopher, spent most of his time between Sligo, Dublin, and London. See biography at http://www.online-literature.com/yeats/. He is still at the forefront of events, this time as a lookback at his work and relationships. Meet the poet, W. B. Yeats, for William Butler Yeats, and "beautiful, brainy feminist Irish revolutionary and object of Yeats' infatuation across five decades...."
He is buried at Sligo. This particular event cannot be traced to Cuchulain, see google book, Tumult of Images, Essays on WB Yeats and Politics, p.79, ed. Liebregts and Van De Camp. But there are allusions to other legends, easily crossed over .It may be an initiatory rite. Dry well, leaves, allude, allude. Pursue the Noh influence on Yeats, Apparently it was Ezra Pound who introduced Yeats to the Noh form. Yeats then portrayed a part of the Cuchulain saga, mythical Irish hero, using the strict stylistic and formal movements of Noh. Cuchulain: Cuh-hool-in, with a gutteral "h", see http://adminstaff.vassar.edu/sttaylor/Cooley/pronunciation.html. The Yeats-Fisher work includes haikus by Basho (find some at http://thegreenleaf.co.uk/hp/basho/00bashohaiku.htm) and Buson (see http://thegreenleaf.co.uk/hp/buson/00buson.htm). In addition to the Noh flautist and drummers 3, Yeats instead used a drum, gong and zither. The Fisher production reviewed at the NYT used a harmonium, flutes, an acoustic bass and percussionist. How did I miss that performance? 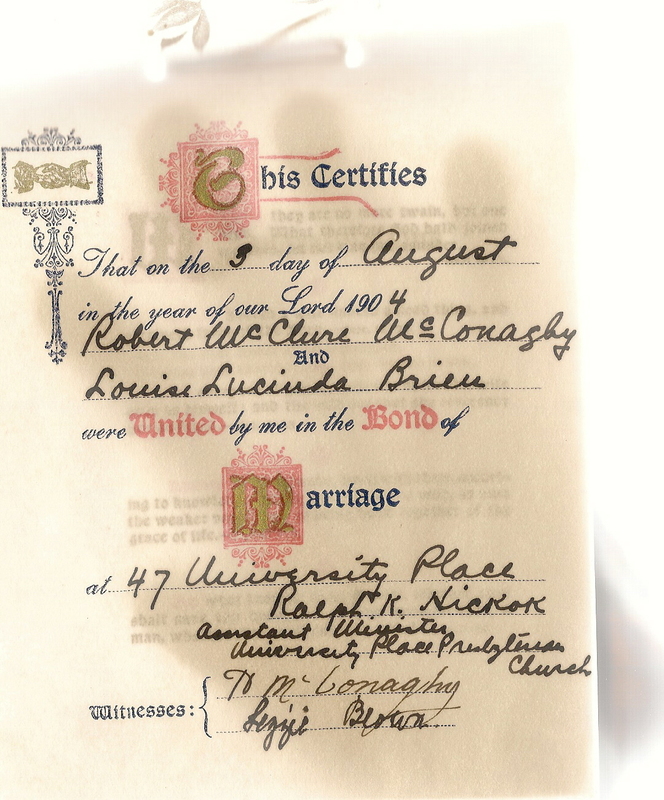 The relationship Yeats wanted with Maude Gonne of Sligo (she did not reciprocate in the same way, see http://www.answers.com/topic/william-butler-yeats) lives on. 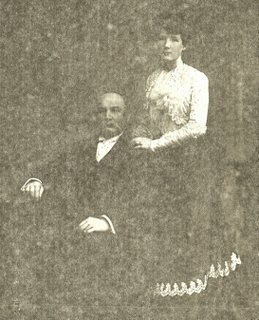 Even after Ms. Gonne's husband died, she turned down his proposal, he proposed to her daughter and was also turned down, and then married Miss George Hyde-Less, http://www.notablebiographies.com/We-Z/Yeats-William-Butler.html; or Hyde Lees. Life, complexities, how can you keep from reading. See http://www.nytimes.com/2008/07/20/arts/design/20dwye.html?scp=1&sq=July%2020,%202008%20Yeats&st=cse#. New York Times article, "Yeats Meets the Digital Age, Full of Passionate Intensity." See also article regarding his uncommon marriage, there listed to Georgie Hyde Lees (this by way of update) see http://www.irishtimes.com/newspaper/weekend/2011/0319/1224292565841.html. She was 24, he was 52. As to Maud Gonne, read of the visions, reported to the other, desire, letters taped into it as well, it is on display at the National Library in Dublin - a single page displayed, pristine, and the rest digitally reproduced so the viewer can tap through. There was a similar display at the Louvre a few years ago, with Leonardo da Vinci's notebooks - a room of computers around the periphery of the dark room, and people exploring and so quiet. Perhaps the Library in Dublin has set a similar reverential place for the muse. We read that there are intimate spaces for film viewing, tapes of readers aloud. was a member of Irish Senate, noting that many of Ireland's greatest were Protestant. Again, back to Maude Gonne - he wrote a play for her to act as lead, "The Countess Kathleen," but Gonne would not take part. There are many twists to her life. It is a pity that her large house at Coole is gone, the plae is now a park. Parke's Castle (1609) on Lough Gill, looks over The Isle of Innisfree. Hear Celtic Woman, Orla, singing about it with her harp: http://fredericksburg.com/News/FLS/2006/072006/07272006/209192. The Lake Isle of Innisfree is the subject of W.B.Yeats' poem - "I will arise now, and go there...." Read it in its entirety at Bartleby - http://www.bartleby.com/103/44.html. The Lough is partially in County Sligo, and partially in County Leitrim. We understand that the Castle is in County Leitrim. In the late 1000's came the Gregorian Reforms geared to establish this new Church as a militant one, centralized, including formal justification for Crusades, and setting the stage for the Church to aggressively change the world -- a military, killing. See entry 1096-1099 - killing in the name of the church carries no criminal consequence. See entry at Timeline for 1073: no more would Christianity withdraw from the world, it would march to establish a rightful order. Meanwhile, in the 1100's, the King of Breifne, Tiernan O'Rourke, competed with the King of Leinster, Dermot MacMurrough Kavanagh, to be High King. 1166 -- The High Kingship had gone to O'Connor (need to check) and O'Rourke and the "Ostmen" of Dublin (who?) joined forces against Dermot, removing him from the throne. Dermot fled to Wales (we thought it was England). This tale has him returning at that point with the English Strongbow; to get his lands back, and in exchange he would arrange for Strongbow to marry Dermot's daughter, http://freepages.genealogy.rootsweb.ancestry.com/~ruairc/ocastle.htm. This was the beginning of the invasion of Ireland by the English. Dermot died 1171, and the English Strongbow took over the kingship of Leinster, itself contrary to Brehon law. Left out of this account: Pope Adrian, see http://www.thewildgeese.com/pages/adrianiv.html, had wanted to strengthen his church's hold on Ireland, and issued a Bull whereby Henry II (a Norman) of England had permission to invade Ireland as part of the Gregorian Reform for Christian warfare, and in order to serve these ecclesiastical ends. Henry, after he was finished with a war in France, met with Dermot, agreed to help(or went on his own to the Pope, see http://www.suite101.com/content/the-life-of-henry-ii-a259431, and authorized Strongbow's invasion, that by derivation had been authorized by the Pope. But, there was no real basis for the Pope's claim to Ireland at all - a trumped up "Donation of Constantine" did the trick. One of history's most concealed forgeries, http://www.britannica.com/EBchecked/topic/133843/Donation-of-Constantine in the sense of not being well known, because it de-legitimizes Henry's claim. Point as to Lough Gill: The romance of the Lough led to this very Helen of Troy tale, warring over a stolen woman, deceits. The seeds of the Anglo - Norman invasion of Ireland, right here. So, the site has been O'Rourke for centuries, this one built in 1609, and others thereafter added. See http://www.of-ireland.info/castles/parkes.html. Its style is described as a "fortified manor house with stone bawn enclosure." The courtyard and other areas date from a far eaelier date, 1100's. That would be the King of Beifne, Tiernan O'Rourke.